Owls are by far the most searched type of bird. Credit: Anna Martineau-Merritt. Cross-referencing a decade of Google searches and citizen science observations, researchers have determined which of 621 North American bird species are currently the most popular and which characteristics of species drive human interest. Study findings have just been published in the Proceedings of the National Academy of Sciences. "Google Trends data describe how often people search for birds and provide a snapshot of public interest in different species," says researcher Justin Schuetz, Cornell alum and lead author of the study. "In general, large birds, such as hawks and grouse drew more attention than small birds. People also expressed more interest in birds that visit feeders, are endangered, or have been chosen as sports team mascots. 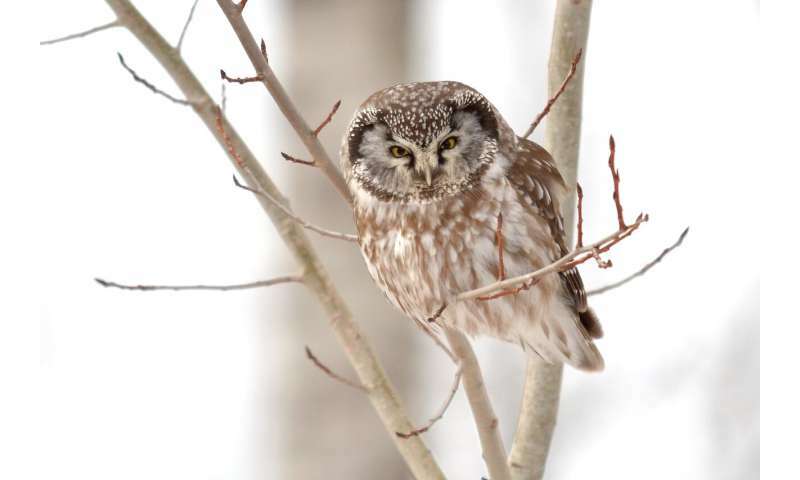 In addition, we found that owls—more than any other group of birds—were the subject of public curiosity." Surmising that people would probably search more often for birds they encountered frequently, the authors turned to eBird for the geographical piece of the puzzle. eBird is a global citizen science database of bird observations managed by the Cornell Lab of Ornithology. They pooled the results into four categories which Schuetz and Johnston call "cultural niche space," based on how frequently people searched for a species relative to how often they might encounter it in nature. Though proximity to a species often plays a role in shaping public interest, the authors also found that some "celebrity" species, such as Common Raven, Barn Owl, and Whooping Crane, are popular even outside their range. 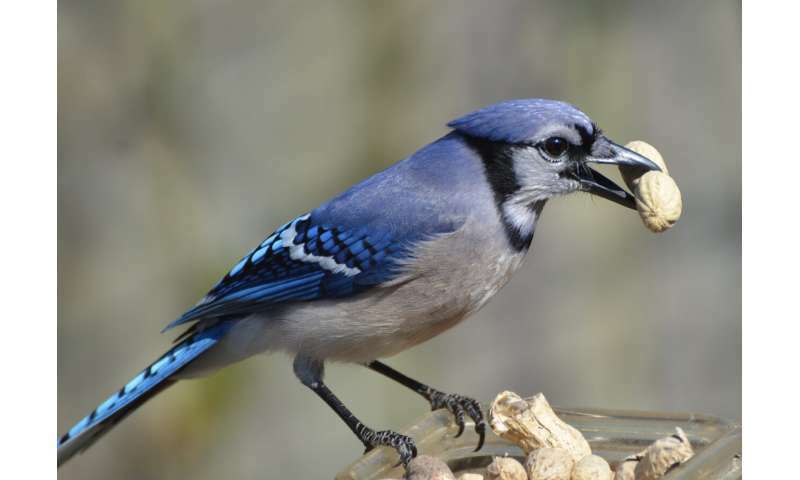 Birds that visit feeders are among the most popular. Credit: Marie Lehmann. Cornell Lab of Ornithology scientists used Google Trends data to explore public interest in bird species. They categorized the results into four "cultural niche spaces": Celebrity birds that everybody loves, such as Barn Owl; Friend or Enemy birds that are flashpoints for public debate, such as Greater Sage-Grouse; Stranger birds that people see but don't know the species identity, such as Lincoln's Sparrow; and Neighbor birds that are regional favorites, such as the Black-Crested Titmouse often seen by Texans. Credit: Graphic by Jillian Ditner/Cornell Lab; photos courtesy of Macaulay Library by Andrew Steele (Barn Owl); Casey Weissburg (Greater Sage-Grouse); Noah Strycker (Black-crested Titmouse); and Ian Davies (Lincoln's Sparrow). Co-author and Cornell Lab of Ornithology researcher Alison Johnston notes that Google data cannot reveal the underlying motivations for searches but knowing which species capture public interest matters for conservation. "Conservation shouldn't be a popularity contest," explains Johnston. "But we can start to understand why some species garner more attention than others. Then the challenge to conservationists is to raise awareness around lesser-known species." Understanding people's interest in different bird species can also help conservation organizations focus their efforts, says Schuetz. For example, "conservation groups might want to identify species in need of help that are regionally well-known but don't have a reputation beyond that region. These species could be good candidates for stewardship programs that encourage a sense of regional pride." 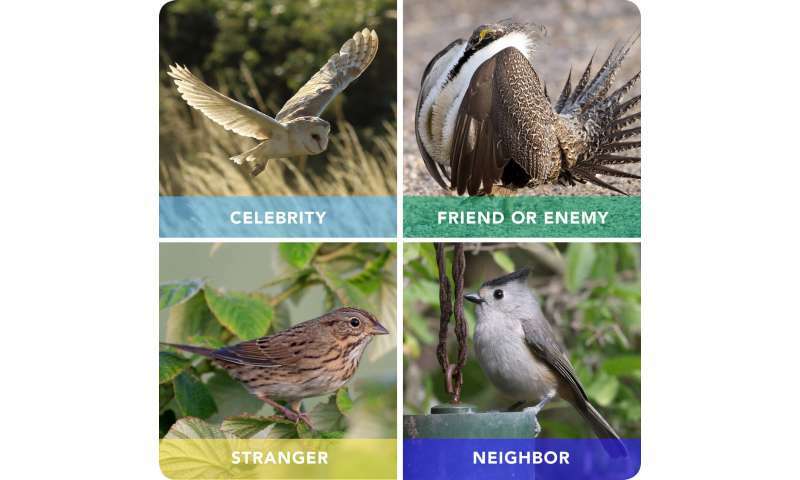 Try the widget the researchers created so people can see where their favorite birds land on the popularity spectrum.